Theme parks are one of the greatest inventions humans came up with. They offer more than just a place of relaxation. Visiting a theme and even planning for it excites all people young and old. Theme parks are mostly built on a huge scale and are usually visited in the summer. Theme parks have a lot of dry and wet rides in them which attract people from across the country and even across the world in some cases. The name theme park itself implies that the park is built on a specific theme which is popular among the people. There is a direct relationship between the size of theme parks and the number of visitors it gets. Most big theme parks get millions of visitors a year and they can accommodate all of them which leads to even more foot traffic. The attractions and rides at these theme parks are also the major reason why people visit them. 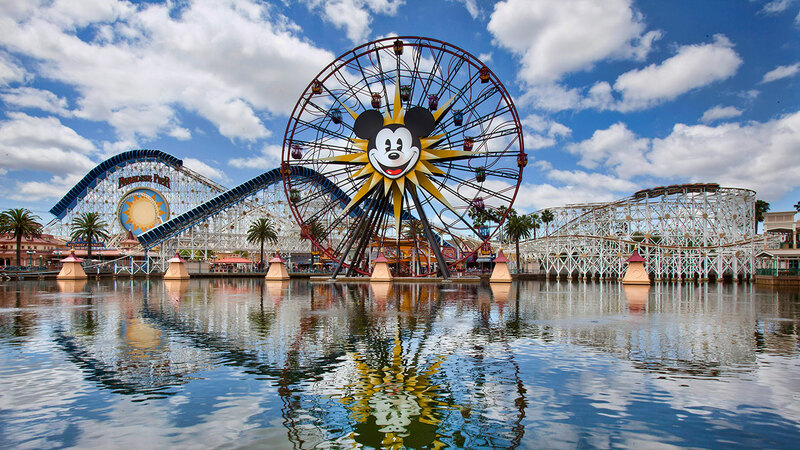 Here are some of the biggest theme parks in the world. They get visitors in the tens of millions. Read on to find out more. This is one of the most popular theme parks in the world and has a visitor count exceeding 50 million every single year! Disney World is the largest theme park in terms of attendance per year and foot traffic. The theme park is named Disney World because it is literally a mini world of its own. Technically, it houses four large theme parks inside its huge campus and offers everything you can ever wish for in a theme park. Disney World is huge! It covers an area of 43 square miles which is twice the size of Manhattan. Disney World houses 25 Disney hotels/resorts; two water parks, two miniature golf courses, four golf courses and plenty of stores and restaurants. Basically, if you’re going to spend a week or a month at Disney World, they have you covered. The best thing about Disney World is that there are Disney Transport vehicles everywhere at your disposal. This is so that you won’t have to drive anywhere in the park. 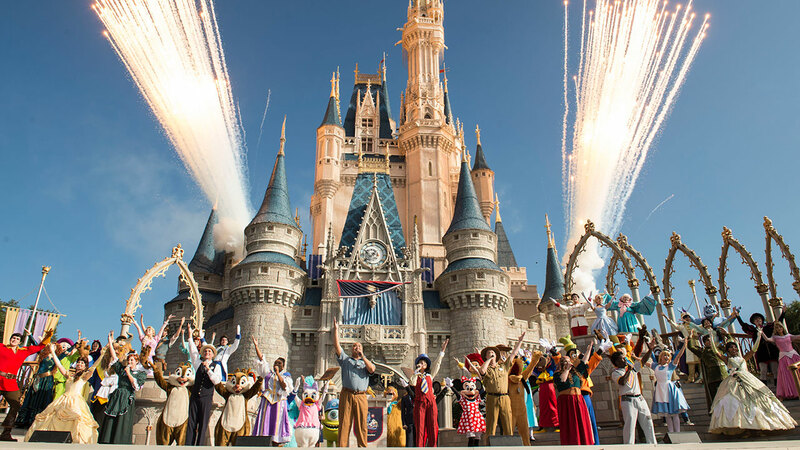 All the main attractions have routes which are accessible by the Disney Transports. To everyone who thinks Disneyland and Disney World are the same: No. These are actually two very unique theme parks with Disney World being located in Florida and Disneyland located in California. Disneyland is much smaller than Disney World coming in at just below a square mile. It is no lesser to Disneyworld however as Disneyland has two full-fledged theme parks inside it and several restaurants and resorts. Disneyland comes close in second place with close to 30 million visitors every year. Guests visiting Disneyland will also be able to enjoy the Downtown Disney District where they can shop, dine and be entertained. Visitors to Disneyland will be allowed to choose from three resorts to stay at and be close to all the action. The best thing about Disneyland is that there are no time scales. 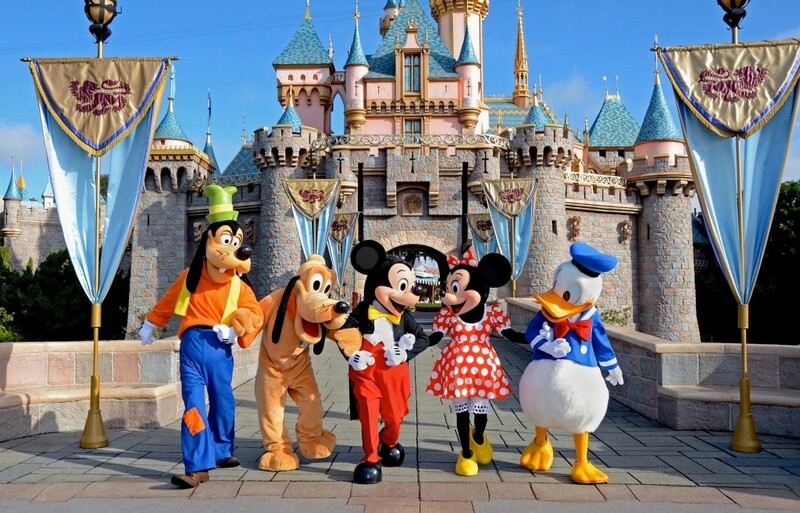 You can be visiting Disneyland for a single day, two days or even a week. You can still manage to see all the major attractions and rides. Third on our list is yet another Disney attraction. The Tokyo Disney Resort is situated at the heart of Tokyo but doesn’t feel any less than the other Disney parks. This Disney resort offers the same stuff as the other parks do. Its huge area is divided into different themed lands which each offer their own rides and attractions. The Tokyo Disney Resort is best known for its Tokyo DisneySea which houses a number of water themed attractions and water-rides. This park has four hotels where visitors can stay and enjoy their trip. 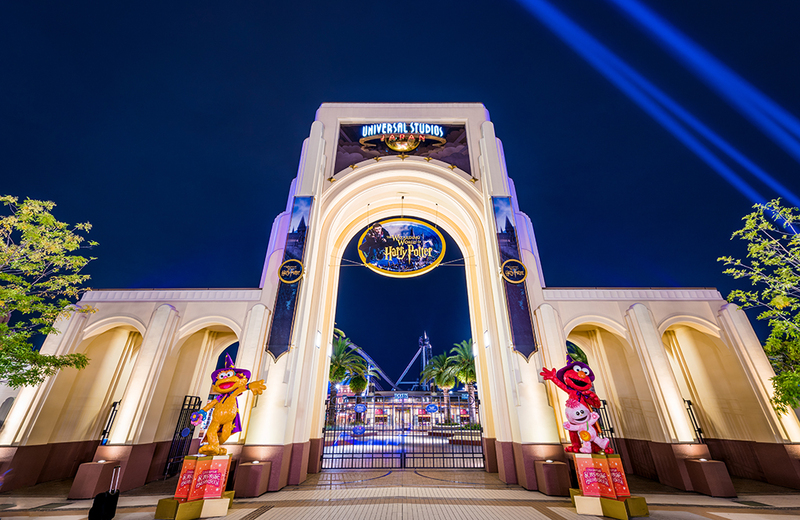 Movie buffs rejoice for Universal Studios park is your place to be. The theme park is located in Osaka and has a collection of 24 hotels situated close by to accommodate visitors. The park offers the full behind the scenes movie experience. Visitors can feel the magic of Harry Potter in their Wizarding World of Harry Potter Exhibit and ride on roller coasters which take them through scenes from the most popular movies of all time. The park is also home to a host of street performances, stage events and shows which are highly entertaining. The park is vest known for its themed restaurants. 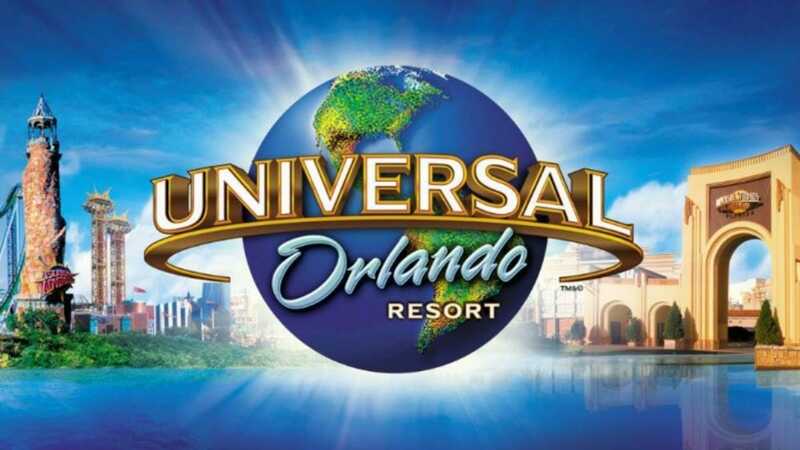 This was the original Universal Studios and is located in Orlando, Florida. This is a summertime hotspot and promises boundless fun to all its visitors. It is placed fifth on our list based on foot traffic. There are two main theme parks connected in the middle by the Harry Potter themed attraction and exhibit. There are 5 hotels inside the park itself and several hotels outside which offer transportation facilities to visitors. City Walk is the best thing about this theme park. It is a hotspot for visitors and it is superb fun as it is open throughout the night and visitors can come enjoy at all times. These are just some of the major theme parks in the world. There are several more but these five are truly enormous, in terms of size, foot traffic and sheer number of rides. Comment down below if you want us to make a list of some smaller but fun theme parks.